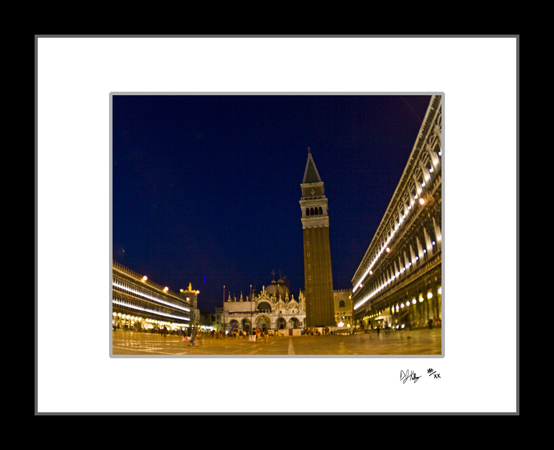 This fine art print of Piazza San Marco in Venice, Italy captures the square still alive with people. Saint Marks Square is busy all day and into the night with people enjoying Venice's largest square. This long exposure photograph highlights the lights that surround the square circling the piazza in light. In this picture, a blue streak remains in the air as a kid's toy arcs into the night.